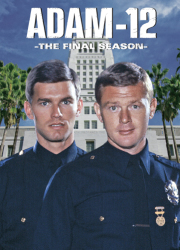 Los Angeles, 1972-1973...Officers Pete Malloy (Martin Milner) and Jim Reed (Kent McCord) are on the streets fighting crime on the mean streets of Los Angeles. 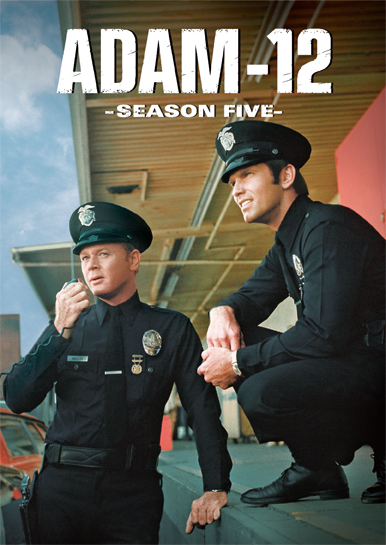 Adam-12 was a spin-off of the popular NBC TV series Dragnet and similarly portrayed incidents and situations that were based on real LAPD cases. 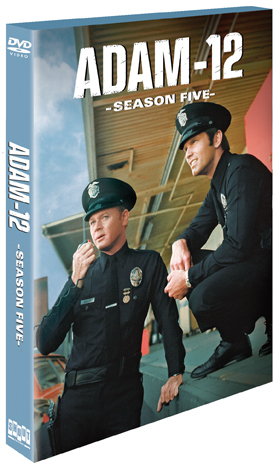 Best-selling author and prolific television producer Stephen J. Cannell (The Rockford Files, The Greatest American Hero, The A-Team, 21 Jump Street) joined the series in Season 4 as head writer and was promoted to Executive Story Consultant in Season 5.